Good communication is one of the most valued skills in the workplace. And effective listening is crucial to communicating productively inside and outside of the organization. Call us for Quantity Pricing. The Personal Listening Profile® helps people become more active, purposeful listeners in a wide variety of situations for more productive communications. To receive a free copy of this product, see the Free Sample button below. 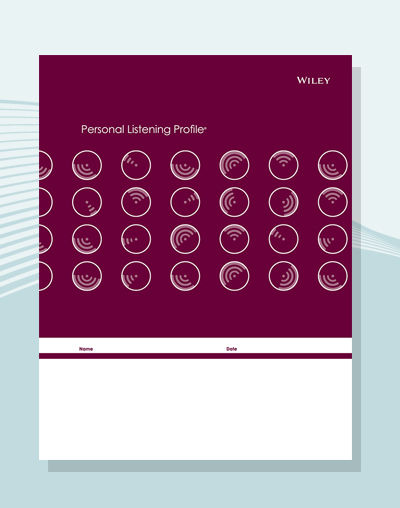 Personal Listening Profile® is a registered trademark of Wiley.